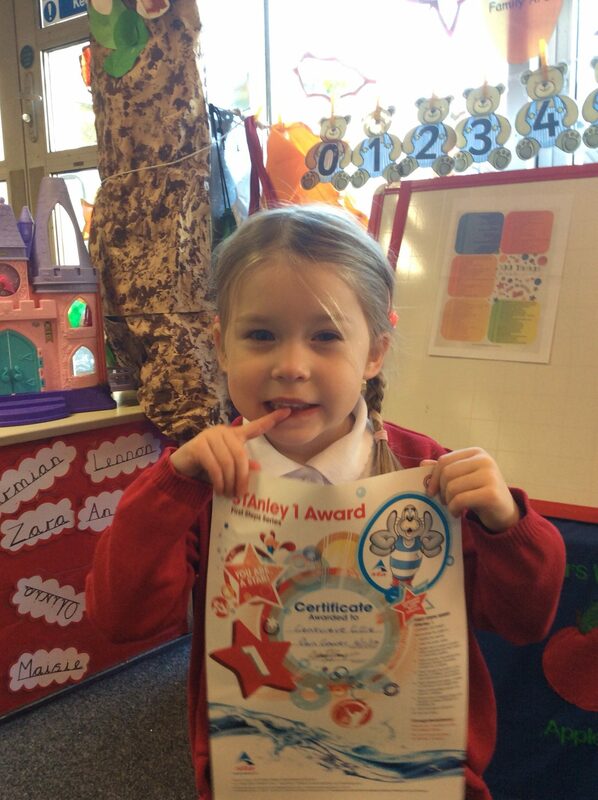 A big well done Genevieve for passing your Stanley level one swimming Award. This entry was posted in EYFS and tagged Celebrations, P.E. on November 8, 2017 by Sandford Hill. Congratulations Genevieve, we’re all very proud of you!